Washington state is a beautiful place for outdoor recreation like boating and swimming, especially when the weather begins to heat up and the water temperature becomes more tolerable. 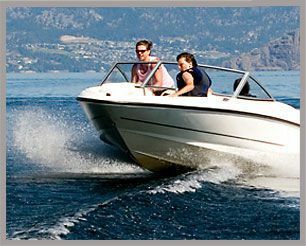 But as more people take to the waters throughout the summer months, the risk of injuries or death from drowning and boating accidents increases significantly. It is all too easy for people who are boating and swimming in Western Washington to become complacent and overly confident in your abilities while out on the water. And because alcohol often goes hand-in-hand with water activities, people participating in these activities may have impaired judgment and underestimate the risks of injury or death. According to the Washington State Department of Health’s Center for Health Statistics, drowning is the second-leading cause of unintentional death for children in the state of Washington. The rate of drowning incidents has declined steadily over the years, but the state’s overall incident rate is higher than the national rate, which is troubling for public safety and health officials. The King County Office of Public Health says that in 2010, there were 108 unintentional drowning deaths to Washington state citizens and 14 of them involved children under the age of 18. More than half of all fatalities resulting from boating accidents involve alcohol to some extent. And although operating a boat while under the influence of alcohol is absolutely illegal in Washington, there are still plenty of boaters who take the risk every year, only to find it end up with disastrous results. Just last August, a 33-year-old man from Mercer Island was killed in a boating accident that authorities believed involved alcohol impairment by the driver of the boat. According to news reports, the man was wakeboarding and being towed behind the boat when the accident occurred. Seattle police responded to the scene and the driver was interviewed by a Drug Recognition Expert (DRE) with the Seattle Police Department. Police had enough reason to believe that the driver of the boat may have been operating the boat while under the influence of alcohol, and they arrested him on that suspicion. In the previously mentioned case, police were quick to explain to local media outlets that the driver’s arrest was based solely on the details of the officers’ investigation at the scene and that the investigation is ongoing. This means that the driver has only been arrested on suspicion of boating under the influence (BUI) and has not yet been charged. Nonetheless, it is important to understand that any time an accident results in serious injury or death the at-fault party will come under extreme scrutiny regarding whether or not he or she was impaired at the time of the accident. In the end, the risk of injury and death from an alcohol-related boating accident simply isn’t worth the trouble of drinking while operating the boat. So be sure to exercise extra caution if you decide to get on the water in Washington state this summer – regardless of whether you’re in a boat or just swimming, you can never be too diligent when it comes to safety.